Last week we were informed by our sources that T-Mobile is planning to make accessories available on its Equipment Installment Plan (EIP). In its current state, customers can buy phones and tablets without paying anything up front, instead, spreading the cost over 24 months interest-free. And the same will be possible with premium accessories from July 20th, at least, if the memo we were sent turns out to be right. But we didn’t get all the information right away. As is often the case. But today we can bring you a couple more pieces of intel to help paint a clearer picture. First up: Minimum value. It was never likely that T-Mobile would allow you to buy a $10 screen protector on EIP. This plan is about making premium accessories easier to buy. 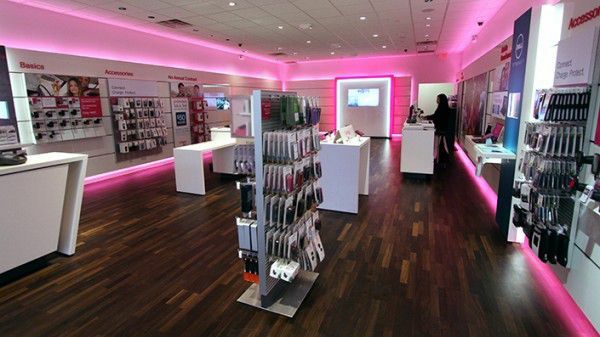 It’s part of T-Mo’s plan to ensure that as many sales as possible have accessories added to the deal. So, think less screen protectors, and more Beats earphones. From what we’ve heard, T-Mo is planning to set the bar at $69. Anything below that, and you won’t be able to spread the cost. Sources seem to agree that it’s a 24-month time period, but, like the phone plans you can pay off early if you want to. So, taking that minimum as an example, a $69 accessory will cost you less than $3 per month. A $300 Gear 2 smartwatch will be around $12.50 per month. Our sources got back in touch to inform us that there will be a maximum limit of $250 per line. So if you do want the $300 Gear 2, you’ll need to put down $50 up front to do so. Second: $0 down. Well-qualified customers will – according to our informants – be able to get the accessories without any down payment. Much like you can with a phone or tablet. However, customers with lower credit ratings will need to stump up 50% of the accessory cost up front. We’re still unsure if EIP is limited to just one accessory, or if you can combing accessories and pay on a single EIP for all of them. As an example, if you wanted to grab yourself a pair of Beats earphones as well as a Gear Fit with your phone or tablet. We don’t know if EIP is locked to a single gadget, or to the overall value of the purchase. It could be an interesting move here by T-Mobile. While not as ground-breaking as its Uncarrier moves, it’s a method of ensuring it has increasing revenue coming in every month. ← Lumia 1525 on its way to T-Mo? i will take a motorolla 360 or lg watch. Exactly. I am down for the Moto 360. I may just pay full price but buy from Tmobile, Atleast i can more than likely preorder. Get it a month. Then pay it off. I believe its going to be a limit of 250 per line. only good reason I see to finance accessories is to build your credit up otherwise just save up some money and buy it outright. You aren’t paying interest or fees on the financing, so most anti-financing arguments are right out the window. As such, I am interested in why you think it would be a bad idea in this case. Eip doesn’t affect your credit. Yeah, I always thought that was crap. You could be with them for 10 years of on-time payments and not see a hint of that on your credit. But stop paying the bill and suddenly your credit score plummets. Always felt like that should go both ways, not just negatively. Doesn’t help build credit might as well buy with a credit card on 0% introductory pricing, or buy with credit card take advantage of rewards/online shopping cashback and pay it off right away. The cool thing about putting things on EIP is the fact that if you don’t have the money now, you can put on payments and pay it off anytime. Also, as stated earlier, eip doesn’t in anyway affect your credit. It’s not the same as financing a car. Though is well qualified limited to credit, or is a combo of credit/tenure with T-Mobile of sorts? It seems like I remember reading a while back that they shifted credit classifications and that folks that had been with T-Mobile for at least 24 months were considered “well-qualified” as well. New customers are judged on their credit score. Following that, it becomes a tenure situation that qualifies you for zero down. Tenure, on time payments, as well as credit score all have been used for TMO EIP. First is your credit score. You are either $0 down or you pay a portion. Second is tenure and on time payments. You need to satisfy 1 year of on time payments with TMo to get a deposit back, meaning you are trustworthy and have some form of tenure and may ask if your EIP class changes. Last if you are on time payment and 24 months into tenure with TMo you become “established” with them and they will extend the EIP program benefits to you as $0 down Well-Qualified. Still no word though on whether this will apply only at the time of getting a phone or whether we can walk in anytime to do this? If T-Mobile wants to sell smart watches which IMO is the big accessory for the SmartPhone, they should be selling the Pebble smart watch, sell the $150.00 1st edition and they must sell the Pebble Steel, the newest edition and the best. The Pebble will work with both iPhone and Android devices. They would sell tons of them. As a Pebble user, I agree. BUT i think they are doing this to partner with the Cell Phone manufactures as to help move product for them. All the Big boys are pushing them. LG, Samsung, Moto.. More to come. Edit, I didn’t see the option to put money down in order to bring the amount financed to $250. 250 limit? That’s pretty stupid considering the accessories I’d want on an EIP would probably be over that.